Ian Grodman graduated from Rutgers University School of Law, where he was Managing Notes and Comments Editor of the Rutgers Computer and Technology Law Journal and Student Speaker at Commencement, twenty years ago. Although his career includes time as a litigator for a large law firm and a law guardian on behalf of young people in the foster care system in New Jersey, his practice in recent years has focused on the immigration needs of businesses, investors, and families, as well as the needs of families and local businesses. Ian has counseled investors and businesses from around the world regarding their immigration needs, and has worked with individuals and families in order to help them realize their dreams of having their families together here in the United States. He has appeared on behalf of, and with his clients in Immigration Court, and in U.S.C.I.S District Offices throughout New York and New Jersey. He has regularly been in contact with U.S. Consular officials around the world on behalf of clients. 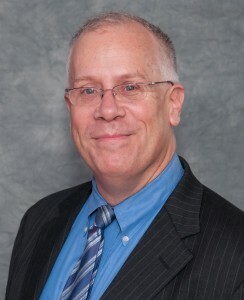 A former elected official, and a leader in the civic life of Maplewood and South Orange, New Jersey, Ian has also served as a mediator and has been referred cases by both the New Jersey Superior Court and the local Municipal Courts for Mediation. He was trained as a mediator by the New Jersey State Bar Association and the New Jersey Association of Professional Mediators.